Human Kinetics would like to thank all our fantastic customers as we are pleased to announce that our best-selling book Strength Training Anatomy by Frédéric Delavier has now sold over 2.5 million copies worldwide. Former French Powerlifter Delavier is also a gifted artist with an exceptional knowledge of human anatomy, which is why this book has proved so popular. This book has over 600 full-color illustrations that reveal the primary muscles worked along with all the relevant surrounding structures including bones, ligaments, tendons and connective tissue. 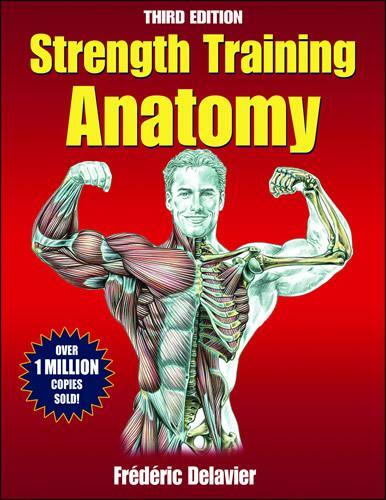 Strength Training Anatomy Third Edition covers exercises for arms, shoulders, chest, back, legs, buttocks and abdomen. If you are one of the 2.5 million people who bought Strength Training Anatomy Third Edition you may also like the following books by Delavier. Previous PostCould you benefit from cold-water immersion?